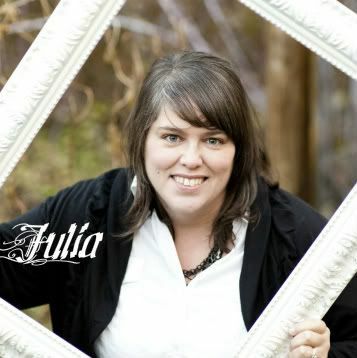 Serendipity from Jewels : What the Leprechaun's are going to leave? We are making Leprechaun Traps early next week and I will post those when they are done but I do have what those clever little guys are going to leave behind when they escape our traps done. I found these cute little buckets at the dollar tree 3 for $1 and added glittery shamrock stickers to them.The whole bag of stickers from JoAnn's was $1. 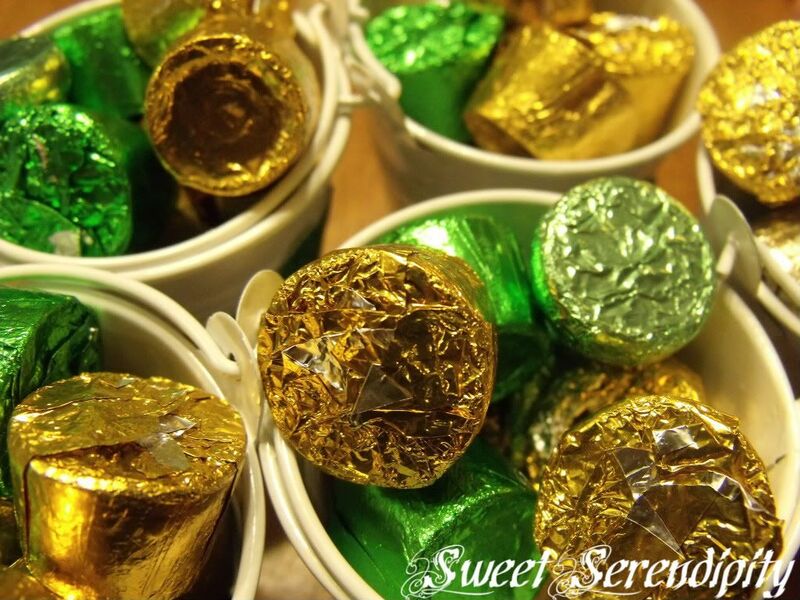 Then I added some foil wrapped chocolates(rolos) to them and they are ready to be dropped by the Leprechauns as they narrowly escape our traps. *HINT as you can see there are Green Rolos... I bought a couple of bags of Easter Rolos and picked all the green and gold ones out saving the other colors for when we fill easter eggs. 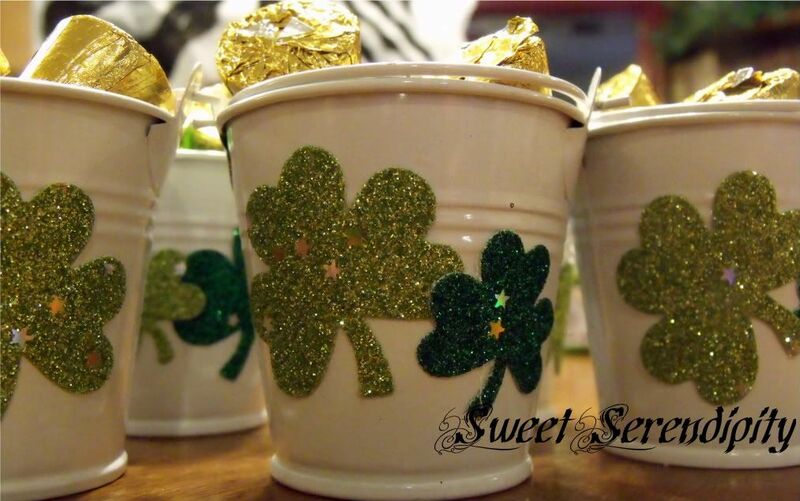 These are so cut and would be perfect for a little St. Patty's Day gift to friends and classmates.